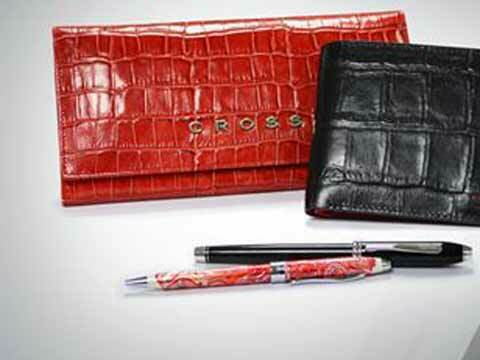 Cross, the legendary writing instruments brand with a heritage going back 170 years, has debuted its line of fine leather accessories in India by launching the 2015/16 collection for the discerning consumer. The product range broadens Cross’ existing offerings to include men’s and women’s leather wallets crafted in 100% top grain, Spanish leather, men’s and women’s bags, belts and technology products such as smart wallets, Apple-approved iPad, iPhone and other award-winning smartphone cases as well as accessibly priced laptop bags, all available in attractive colour combinations. While, men’s wallets and belts start at Rs 1499, women’s wallets and purses are available at Rs 1,999 onwards. The Red Dot design award winning, anti-theft, loss-proof Grabado Tech+ wallet is priced at a reasonable Rs 4,999. Cross has always been known as a great gift, and the brand would also be launching fantastic, accessibly priced gift sets containing wallets, belts, etc. The Cross leather accessories would be available at all top department stores and chain stores in Tier 1 and Tier 2 cities as well as online through Flipkart, Amazon.in, Snapdeal, Myntra and Jabong. Cross also intends to open an exclusive store in India too within the next few months. "Cross is projecting $15 million worth of leather accessories business from India in 2015-16. We are keen to become the leading leather accessory player in the country within 2-3 years. Accordingly, we would be investing aggressively to the tune of $6 million in plant & machinery and R&D and $2 million in Advertising & Promotion. The global market for accessories has been growing at 16% year-on-year. In India, however, it has been expanding at 25% fuelled by the massive demand for quality accessories. This growth would continue, and Cross, with their global collection of leather accessories, has chosen to price its products at extremely attractive prices to rapidly become the accessory of choice for the Indian consumer," added Gupta.